Every year the flu takes a toll on the public. It’s spread from several sources and the use of proper home cleaning efforts and office cleaning efforts. Basics are of value here. Just good old common sense should get you through the season regarding cleaning and defending yourself from the germs that carry the flu. Some of the old homemade cleaning solutions can come in handy along with the new products from off the shelf. You can easily make your own and incorporate them with store bought products that are a great way of sanitizing areas with great efficiency. 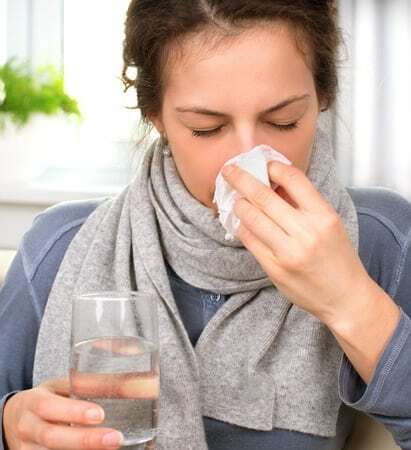 The flu is spread by coming in contact with the virus through contact with people and objects. That means doorknobs, light switches, computer keyboards, desks, chairs, tables, pens, combs, and more are able to carry the flu virus and make it easy to pass on to others. This calls for vigilance and lots of cleaning regularly during the day. Mentioning homemade solutions like simple water, vinegar, and dish soap can wipe out the flu bugs and keep areas and materials clean. Store bought solutions have built in disinfectants and cleaning solutions that are quite effective and recommended in defeating the flu and other germs and viruses. During flu season, mop those floors, wash those doors, don’t use sponges, use micro fiber cloth, wipe down counter tops, cabinet doors, television remotes and toy remotes. Toys are a major problem as kids will hide them after playing with them or lend them to other kids. Tools used by everyone around the house or office need a cleaning once or twice a day depending on their frequency of use. Vacuum cleaner handles are a prime example. Office supplies and equipment need regular once overs. After each use, use disinfectant cloths to wipe the equipment down. Make sure people wash their hands frequently with disinfectant solutions that aren’t expensive at all. Put the disinfectant soaps and creams throughout the house and office and encourage their use regularly by all persons. If you’ve gone shopping and bring in the groceries or other items, after putting them in their proper places, give the areas the items touched a once over cleaning. Once again, due to computing and the spread of diverse electronics, one must keep them disinfected several times a day. Mentioned earlier the computer keyboard. The mouse as well needs to be wiped down. Smartphones and cell phones should be cleaned as well even if you’ve been the only one using them. There’s a reason for this as we often touch other objects while using these devices and then put them in a pocket or purse that is dark, warm, and moist, just the right environment for viruses and germs and bacteria to flourish. If you keep your home cleaning smart and regular, you’ll have decreased the chances of you spreading and picking up the flu, also keep your hands from your eyes and mouth too. If you keep vigilant and disciplined you’ll be much safer.